features and is based on Android 5.1.1 Lollipop. •This tutorial is only for installing AOSP Android 5.1.1 ROM on Samsung Galaxy Tab 2 10.1 P5110. 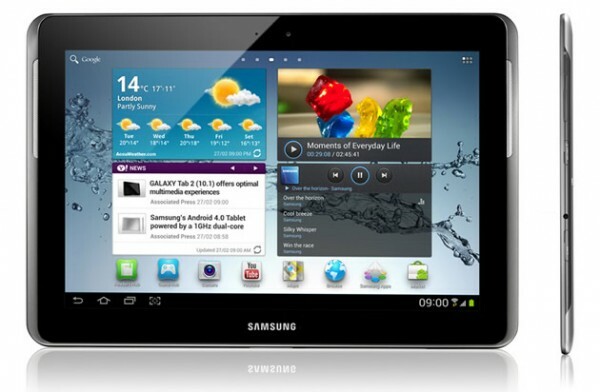 • Please do not try on any other Galaxy Tab 2 10.1 variants. •Your tablet should be rooted and have ClockworkMod recovery installed from before. •This tutorial will wipe out all your data. Proceed at your own risk. •Perform a Dalvik Cache wipe before proceeding from the recovery mode. •Samsung KIES will NOT detect your phone after installing this ROM because it is a custom firmware. •Make sure you backup all your data in your tablet before proceeding. Step 1 – Download AOSP Android 5.1.1 ROM for Galaxy Tab 2 10.1 to your computer. Step 2 – Connect and mount your Galaxy Tab 2 10.1 USB memory on your computer using the USB cable. Step 4 – disconnect from computer and Put it OFF. Step 5 – Boot to the Recovery Mode. Switch ON the tablet while pressing and holding Volume Down + Power buttons together. to select everything while in the Recovery Mode. Step 7 – Then, perform a cache wipe by selecting “wipe cache partition” . Step 9 – Then go back to the main recovery screen and select “install zip from SD card”. the next screen and the installation procedure should start now. Your Galaxy Tab 2 10.1 P5110 will boot now and it might take about 5 minutes to boot on your first time. So, please wait. Lollipop custom ROM installed on it.